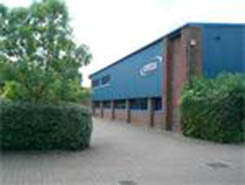 To advise on value and then to seek a purchaser as soon as possible for a modern 9,000 sq ft (820 sq m) industrial unit in Segensworth, nr Southampton. Marketing boards were erected and the property was advertised through a number of web portals with marketing details emailed to applicants and commercial property agents. Viewings were arranged with prospective purchasers within days and an offer was accepted shortly after. The sale exchanged and completed simultaneously before Christmas at close to the asking price of £750,000. 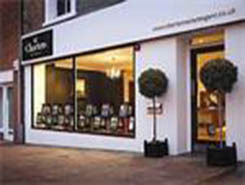 Whilst this was not a forced sale, the client was anxious to reposition the business and to sell the property quickly. We were able to complete the sale from start to finish in a little over 3 months at a price that exceeded the client’s expectations. 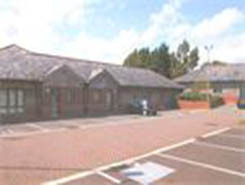 To advise on value and then to seek a tenant for a modern first floor office suite 1,200 sq ft (115 sq m) in Hedge End, nr Southampton. The tenant served notice to vacate by the end of September. Marketing boards were erected and the property advertised through a number of web portals and marketing details emailed to applicants and commercial property agents. Accompanied viewings were arranged with prospective occupiers through careful liaison with the existing tenants in occupation and an offer was accepted by the landlord by end of August. The letting completed on the 1st October, the day after the previous tenant had vacated at close to the asking rent of £14,500 per annum exclusive. 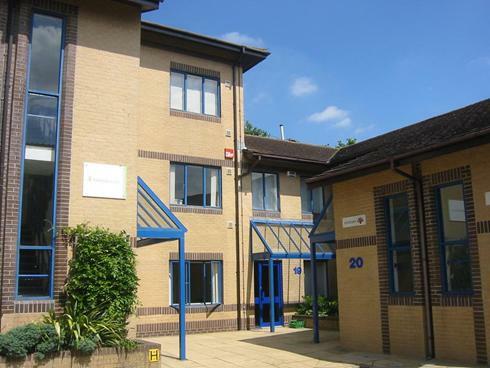 We were able to complete the letting on the day after the previous tenant completed so that the landlord did not suffer any rental void – quite an achievement given the state of the office market. To urgently search for, negotiate and acquire a prominent and characterful head office for their new estate agency in central Winchester. We secured a five storey building at 2 Jewry St, Winchester within eight weeks by spotting an opportunity and negotiating lease terms before the property came to the market. Our client received a rent free period and a cash settlement in lieu of dilapidations. We performed ahead of budget and ahead of time using local knowledge and rapid response. Our client was able to start trading almost immediately. To take on the Property Management of Tollgate Business Village acting on behalf of the freeholders of the 21 Business Units and reporting to the Management Company. To collect, administer and account for all service charges and control all services required for the running of the Business Village. To ensure all relevant legislative requirements are adhered to. To ensure the site is maintained and repaired and that it remains a functional and pleasant place to do business. We took on the management and immediately reduced the service charge arrears. We reviewed all supplier contracts to ensure value for money and met contractors on site to discuss improvements and changes. We ensured that all company shareholding information was up to date. We quickly brought the management of the site into line allowing the Directors of Chestnut Avenue Management Ltd to carry on with their day jobs without worry. We have ensured that the site remains in good order and that the service charge is collected and used in the most effective manner. Health and Safety and other legislative matters were brought up to date and are constantly reviewed in line with the whole management instruction. 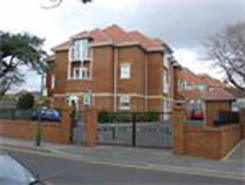 A private individual with properties held in several investment vehicles including trusts and pension funds. To value parts of his portfolio to assist with fund and tax management. The property sectors were varied. It is not enough to simply know the value of a property. We first identified the requirement for the appropriate presentation and methods of valuing each property based upon sector and purpose of valuation. This ensures compliance with the protocols required of us by the RICS, the accountants and the lawyers at all stages through the process. Each property was then inspected and subject to due diligence investigations prior to the valuation report being issued. Valuing properties, including those which are more unusual, calls upon our combined experience of over 50 years valuing, selling and acquiring property. The client was able to present our reports to the appropriate bodies with confidence that all matters had been addressed and the conclusions were accurate and supportable. 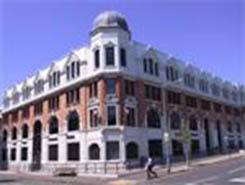 Our client’s own a substantial office building in Brighton let to Legal and General Assurance Society Limited. The passing rent was £550,000 per annum and a rent review was due. The tenant had negotiated to move into alternative new premises and took a robust position defending any uplift in rent at review. Property professionals were appointed on both sides and negotiations commenced. The matter was taken to third party where we made written representations and successfully proved the case for an uplift in the rent to reflect not only the market level but also the particular terms of the lease and the specific features of the building. The initial investigation might have suggested any rent uplift could be difficult to prove. Having researched all of the factors we were confident a strong case could be made. 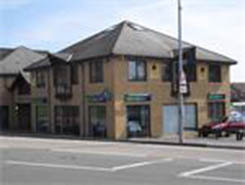 Our client subsequently benefited from an increase in rent and a corresponding increase in capital value. To negotiate a reduction in the high rent increase proposed by their corporate landlord at rent review. Initially the passing rent looked low enough that some uplift might be expected and that our negotiations would be focussed on minimising the extent of increase. As part of our normal due diligence we measured the property, read the lease and other relevant licenses and documents and assessed a range of comparable evidence. It became apparent that the service charge was excessive and we made the case that this must reduce the rent a tenant would pay in the market. The point was contested by the landlord’s agent. There followed a considered negotiation and interpretation of all the variables in the case. The instruction was successfully concluded with nil uplift in rent – and also a reduction in the service charge payable. Not only did the rent cost remain unchanged but the service charge cost was significantly reduced. Our client had two unexpected cost savings enabling the business to continue trading profitably with continued support from the franchisor. To extricate them from a building they leased that was surplus to requirments. Cost saving was a high priority. Working with our client we considered the various cost benefit options including lease surrender, lease assignment and subletting the building as a whole or in part. We commissioned building surveyors on behalf of our client to assess the significance of dilapidations costs associated with our client’s fit-out. We then marketed the property and identified several prospective tenants with whom we could negotiate the most favourable terms. The instruction was successfully concluded with an assignment to a new occupier prepared to take on the premises as fitted out. Our client was released from thier lease, having assigned their lease to a strong tenant covenant. They saved many years rent, rates, service charge and insurance payments. 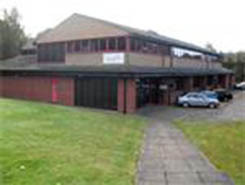 They did not incur dilapidations costs and did not pay either the landlord or the incoming occupier a reverse premium. To negotiate a reduction in the rates payable at a vacant investment property. The building comprises part of a courtyard office scheme that had been occupied by a single tenant who paid the business rates. 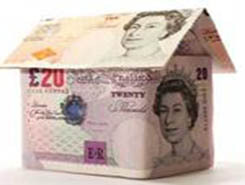 The tenant vacated and under new legislation landlords are now liable to pay full business rates on vacant property. Keygrove were asked to investigate the rateable values and rates payable. We advised our client that the most effective marketing campaign to secure new tenants was to divide the building into smaller individual office suites. Work was carried out to separate the units. We alerted our client to the nil rates payable during the period of works and also the nil rates payable for any suite with a rateable value below a threshold set for a temporary dispensation. Accordingly we submitted the notifications and appeals to the Valuation Office and negotiated significant savings in the rates bill. Our client was unaware of the cost savings available to them or the processes and negotiations involved. Our knowledge of changing Business Rates legislation saved our client significant costs. To commence the development of the 75 acre (30 ha) Adanac Park, M271, Southampton as a high quality headquarters office campus with fully serviced development plots available for sale. We first of all negotiated the conditional sale of a 16 acre (6.5 ha) development site to Ordnance Survey subject to obtaining a satisfactory planning permission for a bespoke new 180,000 sq ft (16,500 sq m) headquarters. We worked closely with our client’s retained planning consultants and Ordnance Survey to secure planning permission with acceptable Section 106 & Section 278 Agreements. 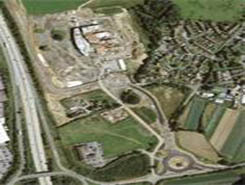 Once planning permission had been obtained the development site sale completed and we then coordinated the landowner’s team to complete the necessary roads and services, on and off-site infrastructure at the same time as Ordnance Survey were building their new building. The infrastructure project was completed to budget, using the proceeds of the land sale to protect the client’s cash flow, in time for Ordnance Survey to take occupation. By working closely with our clients, Ordnance Survey and Test Valley Borough Council, we were instrumental in securing planning permission for 800,000 sq ft (75,000 sq m) of office development at Adanac Park (including the Ordnance Survey headquarters) and coordinated the delivery of the infrastructure project which has now released the development potential of the remainder of Adanac Park. To advise on value and then to seek purchasers for a portfolio of freehold ground rents of 3 blocks of residential apartments at different locations in South Hampshire. Instructions to market the properties were confirmed and details were emailed to our extensive in-house database of ground rent purchasers. No marketing boards were erected or advertisements placed. 10 offers were received within a week and solicitors were instructed to proceed with the best offer shortly after. Section 5 Notices were served and the tenants of one apartment block exercised their right to purchase the freehold themselves. The preferred purchaser then completed the purchase of the remaining two blocks. Freehold ground rents provide a valuable additional source of revenue for residential developers. We were able to complete the sale of these ground rents at prices in excess of the client’s expectations.